When purchasing a new phone, one of the most vital features to consider is battery life. Everyone wants to know how long they can use their device without needing to hug a wall. Increasingly, more and more manufacturers ship their devices with some variation of a "battery saving" mode, which can help combat dead-phone issues in times of dire need for battery life. 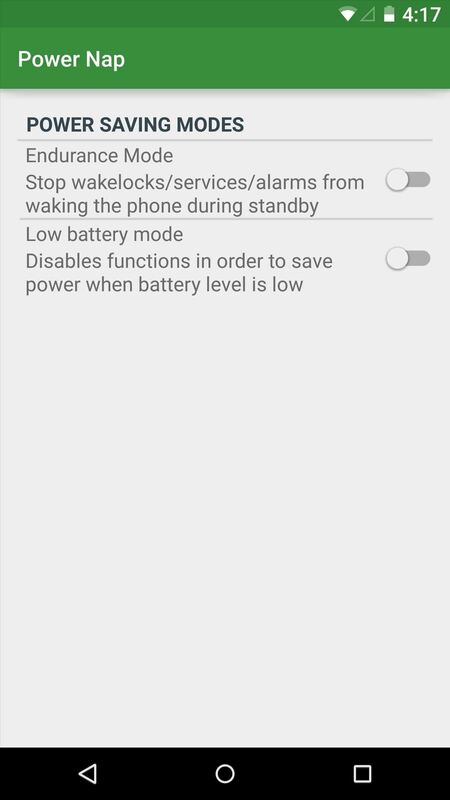 While not all devices have a battery preservation feature, especially older ones, there is a simple way to mimic Sony's STAMINA mode on any rooted Android device in order to significantly improve your battery life. 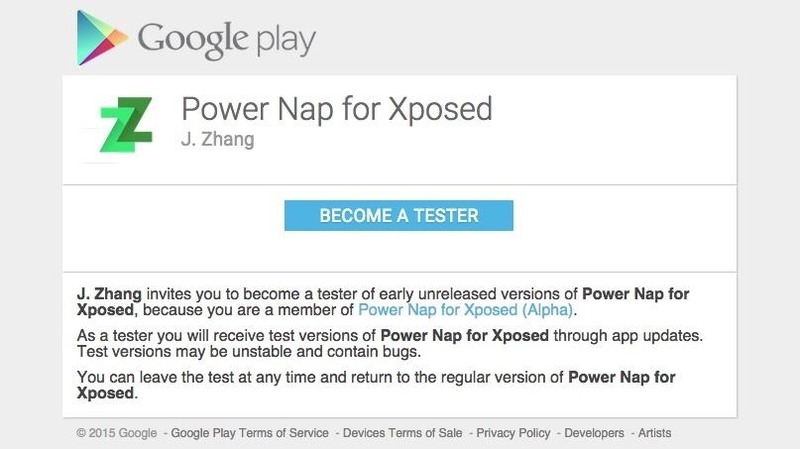 Though it's not a port of STAMINA Mode, developer Joel Zhang took all the core functions that made it great and created an Xposed module called Power Nap. As described by Joel Zhang, "When your screen is off, Power Nap maximizes your device's deep sleep time by blocking Wi-Fi/data traffic, and prevents background activities from waking up the system, leading to an increase in your battery life." As mentioned, you will need to be rooted to install the app as well as running the Xposed Framework. Check out our Android root guide and Xposed Framework guide (click here if you're using Lollipop) to get that squared away before moving forward. It's also important to note that this app will not work on Android 5.1. Until this application becomes public and available on the Google Play Store, you will need to join the beta-testing community to gain access. To do so, join the Power Nap community, then become a beta tester. Once you've joined the community and become a tester, use the link provided within the verification email to download the mod from the Google Play Store. After installing it, make sure to activate the mod through Xposed Installer. Power Nap comes with two modes: "Endurance Mode" and "Low battery mode." Endurance is the classic mode that disables services with the screen off, while Low battery mode doesn't specify how it works, but states that is disables functions when the battery level is low. Choose Endurance Mode to begin selecting your preferences. 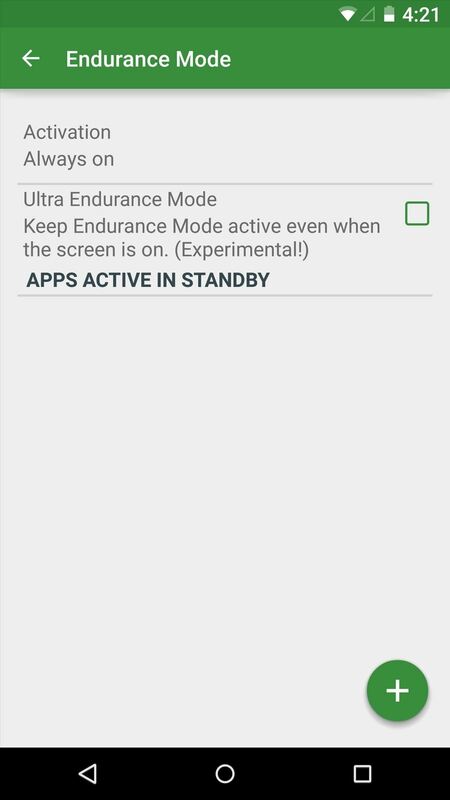 You can select a specific battery level for activation, enable "Ultra Endurance Mode" which works when your screen is on, and you can also tap the addition symbol to whitelist specific apps so that their background tasks continue while your display is off. The developer suggests whitelisting any alarm clock apps you may have so you don't oversleep or show up late to work. It may appear a little too simple or too good to be true, but from looking at the comments and progress reports on the Google+ community page, many claim that it has extended battery life. The developer also claims that "you can expect to see as little as 0.2% battery drain per hour," which sounds great to me.